This small farmers’ market offers a nice selection of Brooklin-made products. Located next to the Brooklin Library, shoppers can find delicious treats, grocery staples, and gifts, while meeting locals & experiencing village life. Outdoor activities near the market: Harriman Point offers views of Mt. Desert Island across Blue Hill Bay. From the parking area, a boardwalk leads through the forest to a dirt road with views of the water. From there it’s about a mile to the end of the peninsula, where there are nice areas for beach combing, picnicking, & exploring tidal pools. 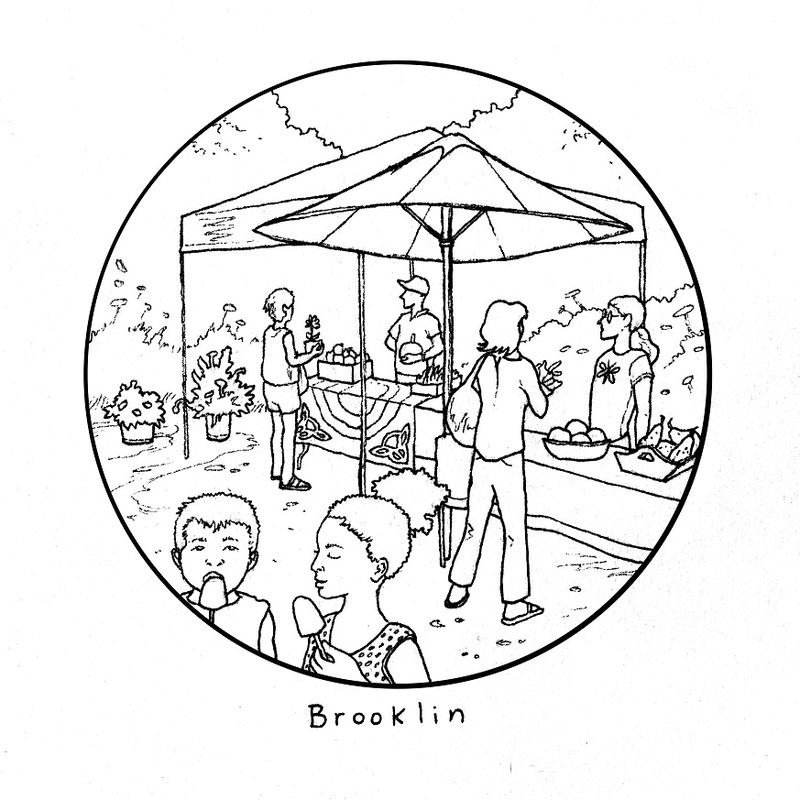 Indoor activity: Brooklin Farmers’ Market coloring page here.